Baby, it's cold outside! Don't worry, though; we have the perfect accessories to warm you up this winter! Our first introduction goes to Farmstead Vintage Washed Flannels. 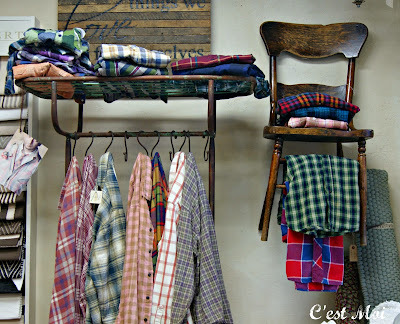 Based in Historic Old Town Auburn, California, Farmstead's unisex flannels are each hand-treated with a special formula to create the distinctive soft look and feel of well loved, broken-in shirts. These one-of-a-kind finds are perfect for layering and adding a cool, casual look to your wardrobe. 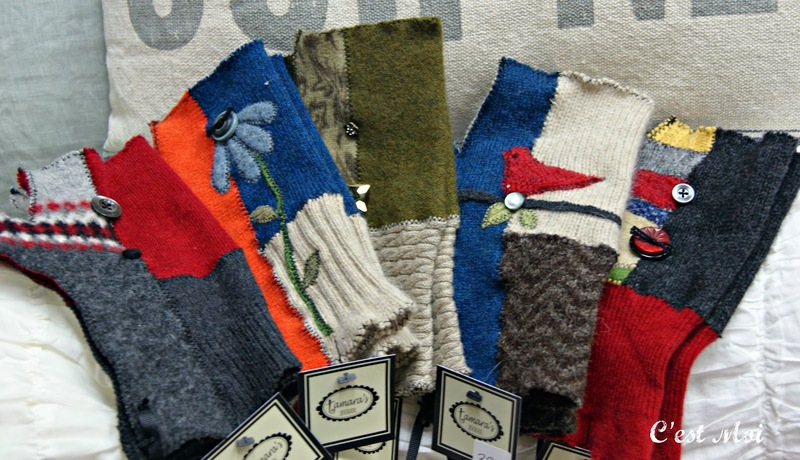 If Farmstead's flannels aren't enough to fend off the chilly weather, these fabulous handcrafted fingerless gloves by Tamara's should do the trick. Each set is unique and boasts charming appliques, buttons, decorative stitching, or all three! We love the range of colors and designs; there's one for every personality and style. 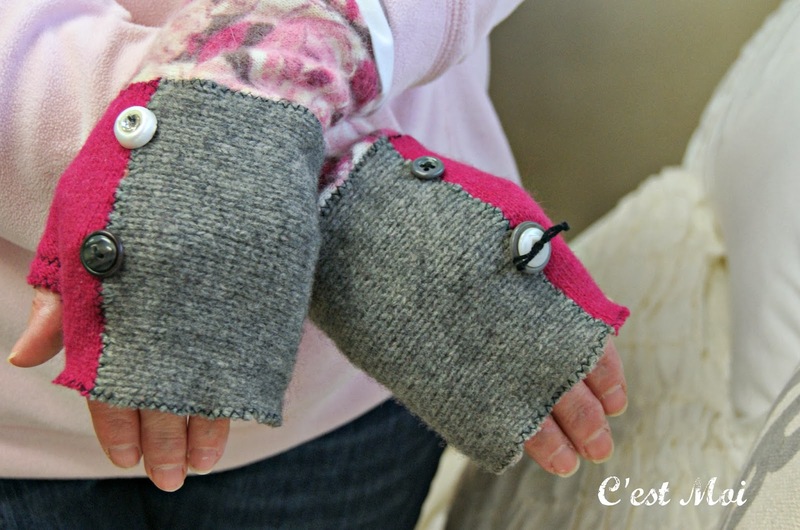 Tamara's gloves are made of high quality wool, so they make lovely Christmas gifts that would certainly be welcome this time of year!